The last of our 2006 foal crop has arrived! 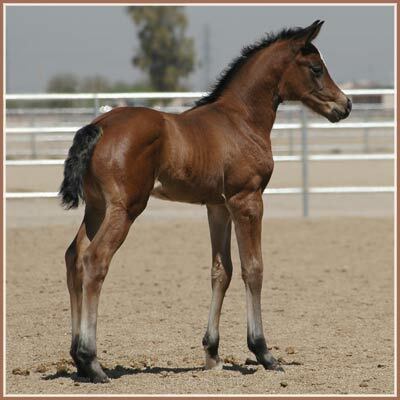 Many of our foals are offered for sale. 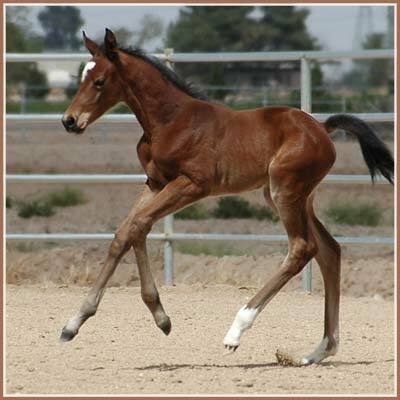 All of our foals are registered with the American Trakehner Association and lifetime registered with the USEF. 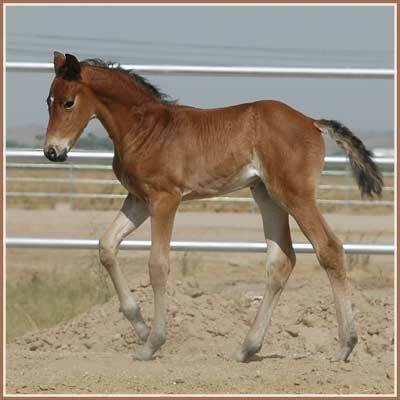 All of our foals from 2005 can be seen here. To see the crosses we are expecting next spring, check out this page. May 2: The last of our foals has arrived! We welcomed this last bay filly, Talara, to the world at 9:00 p.m. on May 2nd. Her dam, Tropenperle (Tropic) did an outstanding job is an excellent mother. April 19: Sidney delivered a chestnut filly by Bel Espace Go at 8:45 p.m. Solana is Sidney's first filly and we are thrilled! 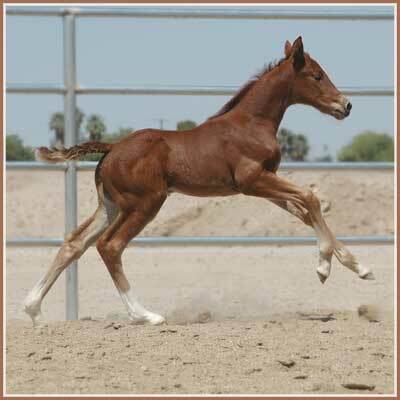 The new addition is very athletic with a strong, uphill canter and lovely trot. Also on April 6, Cara Bella delivered our fourth bay filly of the year! Calais is a striking filly with excellent conformation and a great personality! Check back soon for more photos. At 3:00 a.m. on April 6, Persephone foaled a lovely bay filly, Phailin, by the ATA-approved Arabian stallion Aul Magic. The new addition is very well put together with a typey head, lengthy legs and substantial build. 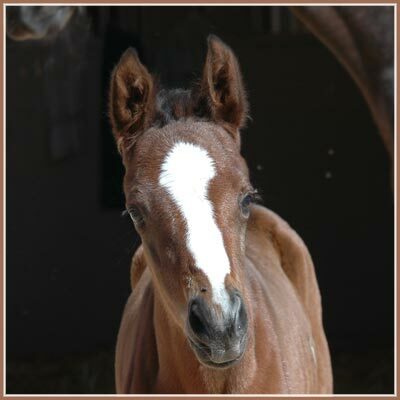 Congratulations to Betsy Teeter, the owner of this adorable filly! 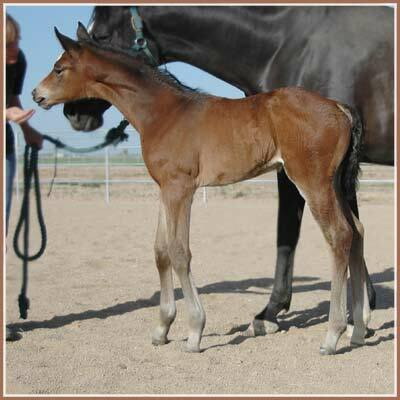 After a long wait, Algebraica had a beautiful bay filly by the Grand Prix Dressage stallion Leonidas. Amara is well built with lovely long legs and a very calm temperament! More photos coming as she unfolds and grows into those legs. Kalua (Heling - Amadeus) delivered a gorgeous bay filly by Freudenfest at 7:00 am on March 14th. Kapri is stunning! Pictured at 11 days.